South Sudanese Enrichment for Families is thrilled to share that the Adelaide Breed Bayrd Foundation has awarded a generous grant to support initiatives in Malden. SSEF will use these funds to connect the SSEF community with Malden-based early childhood enrichment resources, housing resources, adult education resources, day camp and after-school resources, and other opportunities in the area. 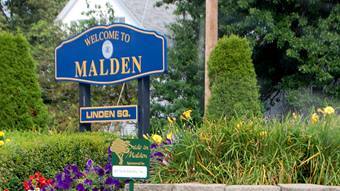 A directory of these resources will be curated, created, and shared with the SSEF community, and efforts will be made to familiarize and connect Malden-families with all sorts of neighborhood enrichment initiatives. The Adelaide Breed Bayrd Foundation is a non-profit corporation organized in Malden, Massachusetts on December 12, 1927. It was privately funded by Frank A. Bayrd in memory of his mother, Adelaide Breed Bayrd. The Foundation’s charitable giving primarily focuses on providing financial assistance in the form of grants to organizations in and around Malden, as well as scholarships to students that demonstrate a strong academic background. Grant recipients include local hospitals, social welfare concerns, libraries, youth-oriented programs, and cultural activities. SSEF is deeply thankful for the support of the Adelaide Breed Bayrd Foundation and looks forward to rolling out this Malden-based initiative! Stay tuned: as part of this effort, a growing list of community-based resources will appear on our website over the next several months!